A serendipitous photo of an ironworker working on the construction of the Walt Disney Concert Hall in Los Angeles led Gil Garcetti to a new career. Gaining access to the site and photographing the ironworkers' skillful and artistic work led to a book in 2002, IRON: ERECTING THE WALT DISNEY CONCERT HALL. With this book, Gil wished to salute the construction workers, whose intricate curved, bent, and angled steel work would soon be covered over by stainless steel - and their work forgotten. Through his photographs he also wished to share the beauty of the geometry of the raw steel and to add to the pictorial history of the city of his birth, Los Angeles. His subsequent six books have all been photo essays. While showing beauty through the unique eye of the artist, he also calls one's attention to the subjects of the books and often invites one's call to action. His book, DANCE IN CUBA, shows the ardent spirit of the Cuban people through their dance, despite lives of extreme poverty. WATER IS KEY tells the story of how clean water in villages in West Africa changes the lives, health, education, and destiny of the people there, especially that of women and girls. PARIS: WOMEN ON BICYCLES, while showing elegantly clad women bicycle riders throughout Paris, also asks us to consider how getting out of our cars to do everyday activities can help reduce traffic congestion and clean up our environment. All of his books are discussed on his website, www.garcetti.com. 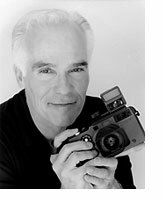 His books have led him to tell his stories in numerous photo exhibitions and presentations throughout the world, such as at The United Nations in New York, UNESCO in Paris, the National Building Museum in Washington, D.C., the Fowler Museum at UCLA, and the Millennium Museum in Beijing. Having been a prosecutor with the Los Angeles County District Attorney's office for 32 years, eight of which he was the elected District Attorney (1992-2000), Gil oversaw 1100 prosecutors, directing them to focus their efforts on combatting domestic violence and initiated specific programs designed to prevent crime. He also oversaw high profile prosecutions, such as the Menendez brothers, O.J. Simpson cases, and LAPD's Ramparts Division police abuse cases. After leaving office, Gil taught a seminar at Harvard University's Kennedy School of Government entitled "The Interaction of the Criminal Justice System, Race, Politics, and the Media". He has also been a frequent speaker on his various photo projects, especially on building wells in West Africa, and on the subject of career change. He continues in his role of Consulting Director for TNT's two series, "THE CLOSER" and "MAJOR CRIMES".